Seven cuddly hero pups. 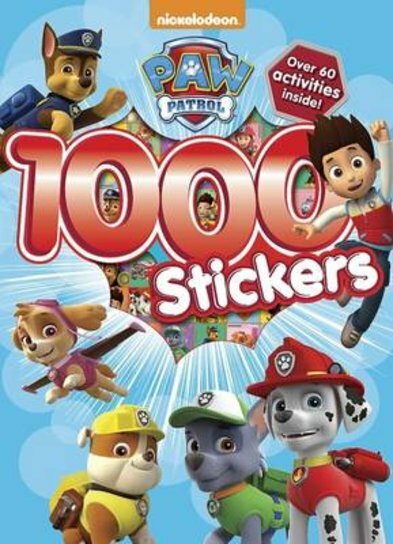 Over 60 cool activities – and 1000 amazing stickers. Woof! Stuck indoors on a boring rainy day? Don’t panic. The Paw Patrol are racing to the rescue! There’s Marshall the firedog, Chase the police dog, high-flying Skye and all the rest. They’ve got every kind of emergency covered. 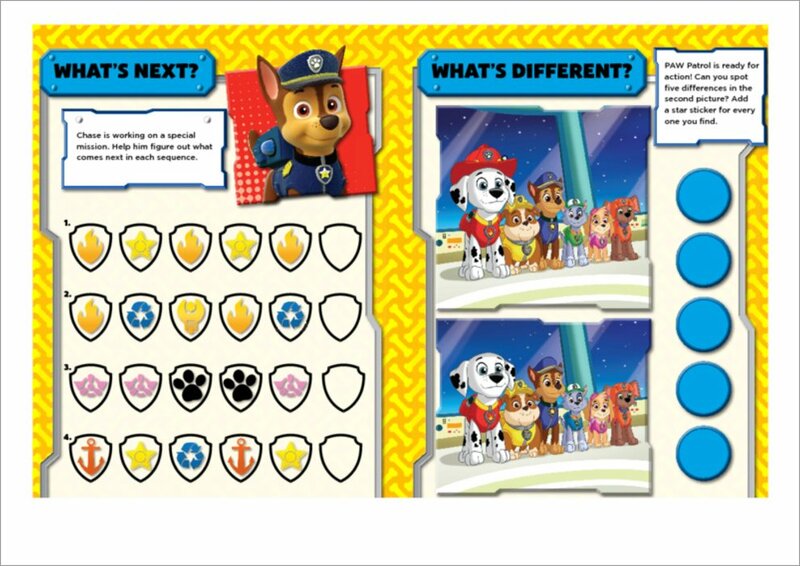 Use the stickers in this book to help with their daring rescues. You’ll still have plenty left over just for fun!